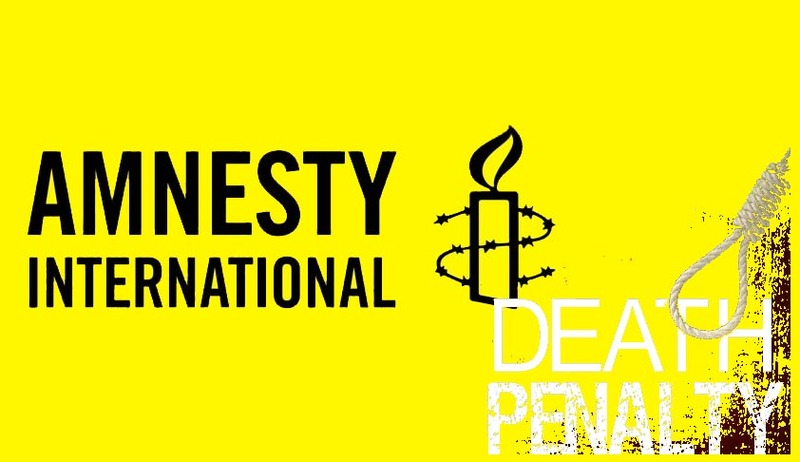 Amnesty International, in its report on Death Sentences and Executions in 2013 published this week, has condemned India for defying international standards for Death Sentences and Executions while executing Death Sentence of Afsal Guru. India carried out one execution on 9 February, when Mohammad Afzal Guru was hanged in secret at Tihar Jail in New Delhi. He had been sentenced to death in 2002 after being convicted of conspiracy to attack the Parliament of India, waging war against India and murder in December 2001 by a special court designated under the Prevention of Terrorism Act (POTA), a law which fell considerably short of international fair trial standards and has since been repealed. Afzal Guru’s death sentence was confirmed by the Supreme Court in August 2005, and his mercy petition was rejected by the President on 3 February 2013. Serious concerns about the fairness of Afzal Guru’s trial – including the fact that he did not receive legal representation of his choice or a lawyer with adequate experience at the trial stage - were not addressed. Afzal Guru’s family were not informed in time of his imminent execution and his body was not returned to the family for last rites and burial, in violation of Death sentences and executions in 2013 international standards. Afzal Guru was also denied the opportunity to seek a judicial review of the decision to reject his mercy petition. The President of India rejected the mercy petitions of 18 other prisoners in 2013, the most rejections by any President in nearly 25 years. Authorities began to take steps to increase secrecy around the use of the death penalty, including by removing information regarding decisions on mercy petitions by the President from the website of the President’s Secretariat. The Supreme Court of India rejected the commutation plea of Devender Pal Singh Bhullar on 12 April. He had been sentenced to death in 2001 for his involvement in a bomb attack in New Delhi in 1993 that killed nine people. He was arrested in January 1995 under the Terrorist and Disruptive Activities (Prevention) Act (TADA), a law that subsequently lapsed, and contained provisions incompatible with international fair trial standards. Devender Pal Singh Bhullar had no access to a lawyer during his initial detention and trial. He was found guilty on the basis of an unsubstantiated “confession” that he made to the police, which he later retracted, claiming it was made under police pressure. In March 2002, the Supreme Court upheld Bhullar’s death sentence, though one of the three judges on the bench had found him not guilty, saying there was no evidence to convict him. Bhullar had been receiving treatment at a psychiatric facility in New Delhi, and in 2011 his lawyer requested that the Supreme Court consider his mental condition as grounds for commuting his death sentence. The President of India rejected Devender Pal Singh Bhullar’s mercy petition in May 2011, eight years after the request was filed. Though a larger Bench overruled the dictum in the Bhullar Case, the plea of Bhullar is still pending in the Supreme Court. The Central Government yesterday filed a no-objection in commuting his Death sentence. In January Supreme Court in Shatrughan Chauhan & Anr. vs Union Of India & Ors has issued Guidelines issued by the Supreme Court on various procedures before executing a death convict. Supreme Court, in Sunil Batra held that solitary or single cell confinement prior to rejection of the mercy petition by the President is unconstitutional. Almost all the Prison Manuals of the States provide necessary rules governing the confinement of death convicts. The rules should not be interpreted to run counter to the above ruling and violate Article 21 of the Constitution. There is no provision in any of the Prison Manuals for providing legal aid, for preparing appeals or mercy petitions or for accessing judicial remedies after the mercy petition has been rejected. Various judgments of this Court have held that legal aid is a fundamental right under Article 21. Since this Court has also held that Article 21 rights inhere in a convict till his last breath, even after rejection of the mercy petition by the President, the convict can approach a writ court for commutation of the death sentence on the ground of supervening events, if available, and challenge the rejection of the mercy petition and legal aid should be provided to the convict at all stages. Accordingly, Superintendent of Jails are directed to intimate the rejection of mercy petitions to the nearest Legal Aid Centre apart from intimating the convicts. The Government of India has framed certain guidelines for disposal of mercy petitions filed by the death convicts after disposal of their appeal by the Supreme Court. As and when any such petition is received or communicated by the State Government after the rejection by the Governor, necessary materials such as police records, judgment of the trial court, the High Court and the Supreme Court and all other connected documents should be called at once fixing a time limit for the authorities for forwarding the same to the Ministry of Home Affairs. Even here, though there are instructions, we have come across that in certain cases the Department calls for those records in piece-meal or one by one and in the same way, the forwarding Departments are also not adhering to the procedure/instructions by sending all the required materials at one stroke. This should be strictly followed to minimize the delay. After getting all the details, it is for the Ministry of Home Affairs to send the recommendation/their views to the President within a reasonable and rational time. Even after sending the necessary particulars, if there is no response from the office of the President, it is the responsibility of the Ministry of Home Affairs to send periodical reminders and to provide required materials for early decision. No prison manual has any provision for informing the prisoner or his family of the rejection of the mercy petition by the Governor. Since the convict has a constitutional right under Article 161 to make a mercy petition to the Governor, he is entitled to be informed in writing of the decision on that mercy petition. The rejection of the mercy petition by the Governor should forthwith be communicated to the convict and his family in writing or through some other mode of communication available. Many, but not all, prison manuals have provision for informing the convict and his family members of the rejection of mercy petition by the President. All States should inform the prisoner and their family members of the rejection of the mercy petition by the President. Furthermore, even where prison manuals provide for informing the prisoner of the rejection of the mercy petition, we have seen that this information is always communicated orally, and never in writing. Since the convict has a constitutional right under Article 72 to make a mercy petition to the President, he is entitled to be informed in writing of the decision on that mercy petition. The rejection of the mercy petition by the President should forthwith be communicated to the convict and his family in writing. 6. Death convicts are entitled as a right to receive a copy of the rejection of the mercy petition by the President and the Governor. (a) It allows the prisoner to prepare himself mentally for execution, to make his peace with god, prepare his will and settle other earthly affairs. (b) It allows the prisoner to have a last and final meeting with his family members. It also allows the prisoners’ family members to make arrangements to travel to the prison which may be located at a distant place and meet the prisoner for the last time. Without sufficient notice of the scheduled date of execution, the prisoners’ right to avail of judicial remedies will be thwarted and they will be prevented from having a last and final meeting with their families. It is the obligation of the Superintendent of Jail to see that the family members of the convict receive the message of communication of rejection of mercy petition in time. We have seen that in some cases, death-row prisoners lost their mental balance on account of prolonged anxiety and suffering experienced on death row. There should, therefore, be regular mental health evaluation of all death row convicts and appropriate medical care should be given to those in need. All prison manuals give the Prison Superintendent the discretion to stop an execution on account of the convict’s physical or mental ill health. It is, therefore, necessary that after the mercy petition is rejected and the execution warrant is issued, the Prison Superintendent should satisfy himself on the basis of medical reports by Government doctors and psychiatrists that the prisoner is in a fit physical and mental condition to be executed. If the Superintendent is of the opinion that the prisoner is not fit, he should forthwith stop the execution, and produce the prisoner before a Medical Board for a comprehensive evaluation and shall forward the report of the same to the State Government for further action. Most of the death row prisoners are extremely poor and do not have copies of their court papers, judgments, etc. These documents are must for preparation of appeals, mercy petitions and accessing post-mercy judicial remedies which are available to the prisoner under Article 21 of the Constitution. Since the availability of these documents is a necessary prerequisite to the accessing of these rights, it is necessary that copies of relevant documents should be furnished to the prisoner within a week by the prison authorities to assist in making mercy petition and petitioning the courts. While some prison manuals provide for a final meeting between a condemned prisoner and his family immediately prior to execution, many manuals do not. Such a procedure is intrinsic to humanity and justice, and should be followed by all prison authorities. It is therefore, necessary for prison authorities to facilitate and allow a final meeting between the prisoner and his family and friends prior to his execution. Although, none of the Jail Manuals provide for compulsory post mortem to be conducted on death convicts after the execution, we think in the light of the repeated arguments by the petitioners herein asserting that there is dearth of experienced hangman in the country, the same must be made obligatory…. By making the performance of post mortem obligatory, the cause of the death of the convict can be found out, which will reveal whether the person died as a result of the dislocation of the cervical vertebrate or by strangulation which results on account of too long a drop. Our Constitution permits the execution of death sentence only through procedure established by law and this procedure must be just, fair and reasonable. In our considered view, making post mortem obligatory will ensure just, fair and reasonable procedure of execution of death sentence. Execution of Afsal Guru was in contradiction with almost all clauses in the guidelines.